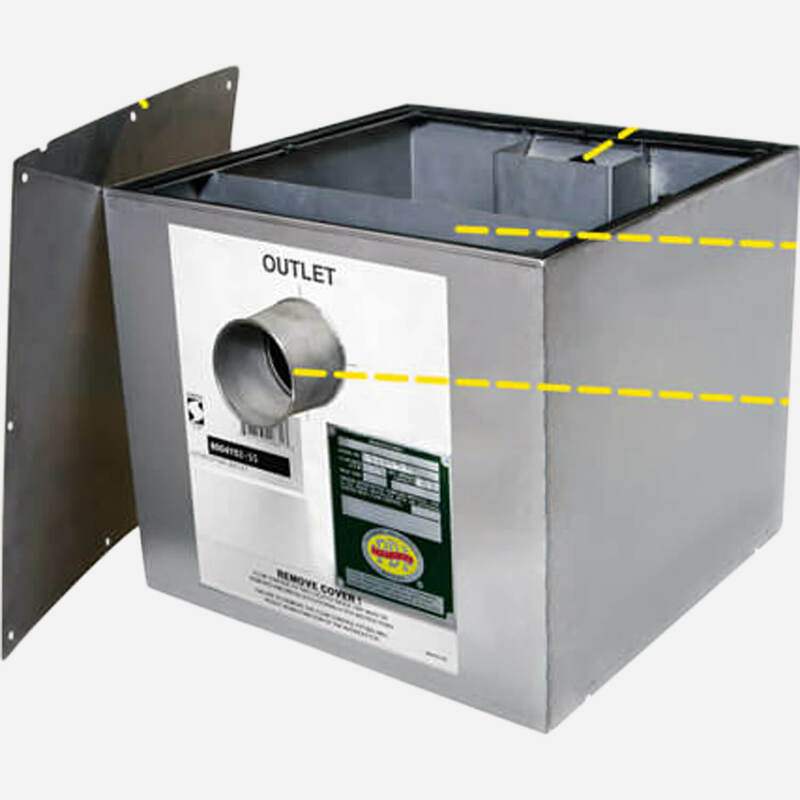 Stainless Steel Grease Interceptors - Commercial Restaurant Grease Traps - Jay R. Smith MFG Co. 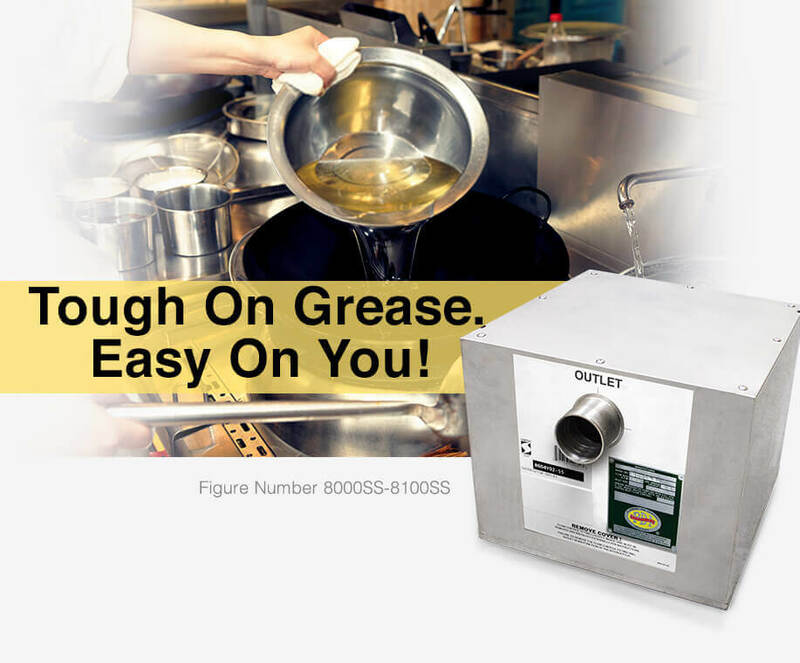 The Smith stainless steel grease interceptors are specially designed for the food industry. A grease trap (or grease interceptor) is a plumbing device (a type of trap) designed to intercept most greases and solids before they enter a wastewater disposal system. These units reduce the amount of fats, oils and greases (FOGs) that enter sewers. 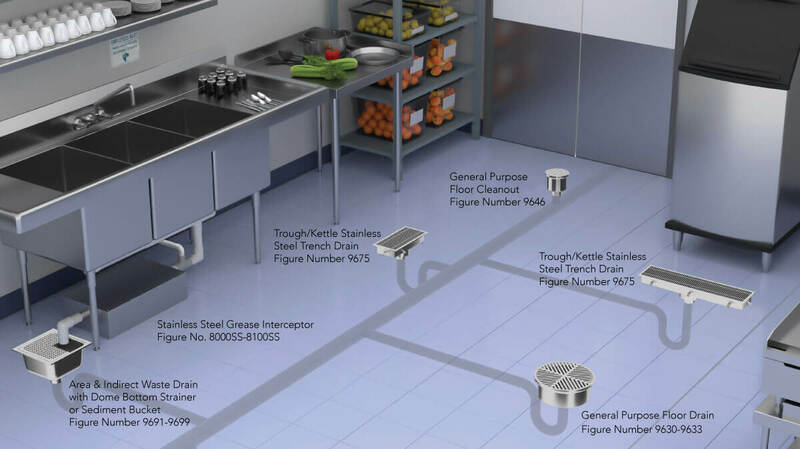 Learn about the importance of a grease trap or interceptor and how one works to keep plumbing functioning properly. Conforms to PDI–G101 and ASME A112.14.3. 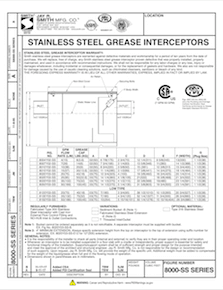 Click here to view SS Grease Interceptor product page! Figure Numbers 8007-SS to 8050-SS and 8120-SS carry the Plumbing and Drainage Institute Certification Seal Certifying conformance to Grease Interceptor Standard PDI-G101. Why Choose Plastic When You Can Have Stainless Steel? 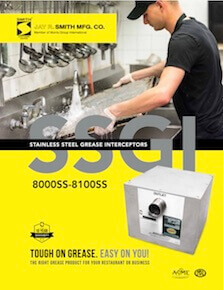 Below is a comparison of Smith's Stainless Steel Grease Interceptors versus Plastic Grease Interceptors. Smith offers a superior material at a compatible price to plastic. Click Here To Learn More About Smith's Stainless Steel Products!